Reverend Heron serves the members and community of Sacred Circle as our Office of Spirit. She is a priestess of over 18 years experience in spiritual leadership, public ritual and ceremony and study and practice of occult and mystery traditions. 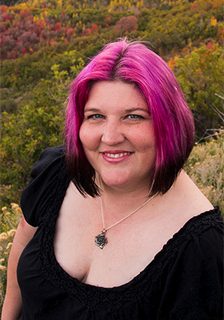 She is formally initiated in both Wiccan and Tibetan Buddhist traditions and has taught a beginner's class - "An Introduction to Paganism and Wicca" for over 13 years. She is one of the founders of Sacred Circle and has been active in the Utah community since the early 1990's. She spent several years in Florida and during that time, became a Board member and served as the head of the Clergy Committee for the WRCF. She brought the experiences learned with that group back with her to Utah and they helped provide a solid foundation to the formation of the Church of the Sacred Circle. Reverend Heron's driving philosophy within the Church is to provide leadership through equality in order to assist others to learn and grow on their own spiritual paths in a true "family of the heart".